Summer sunshine and an intimate ceremony in the woods make this rustic elopement shoot the perfect inspiration! 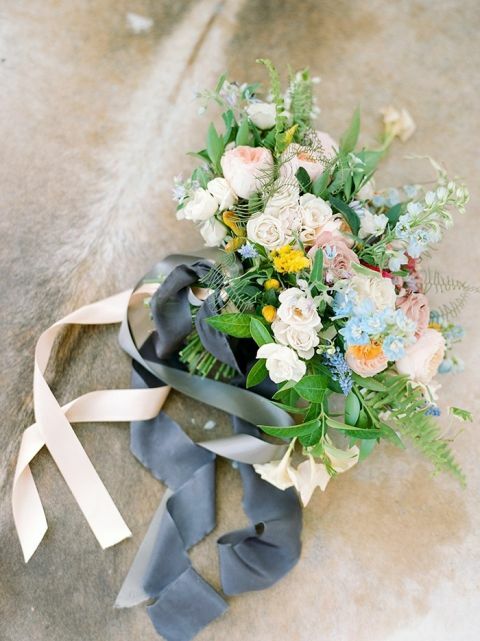 Dana Fernandez Photography and The Petal Report created a stunning inspiration shoot to showcase the beauty of Pretty Woods Lane, just outside Magnolia, Texas. 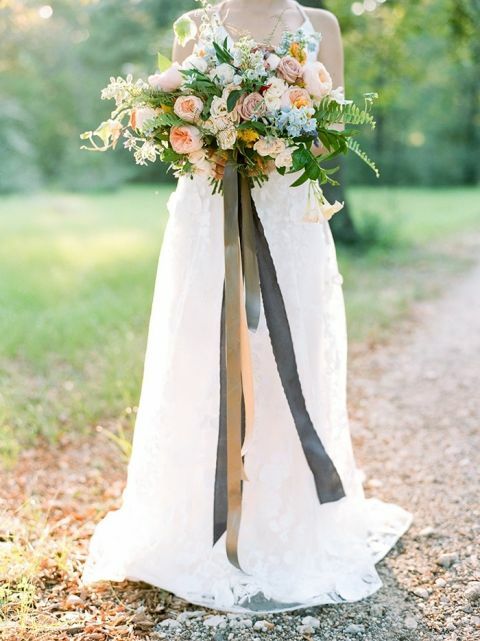 The bride and groom exchanged vows in a sunlit meadow with flowers hanging from the trees as the perfect ceremony backdrop! A charming picnic for two turned a wooden pallet into an intimate wedding reception combining Southern style with preppy patterns and metallics! This team put together a charming wedding day for two by taking advantage of the natural beauty of the summer woods. 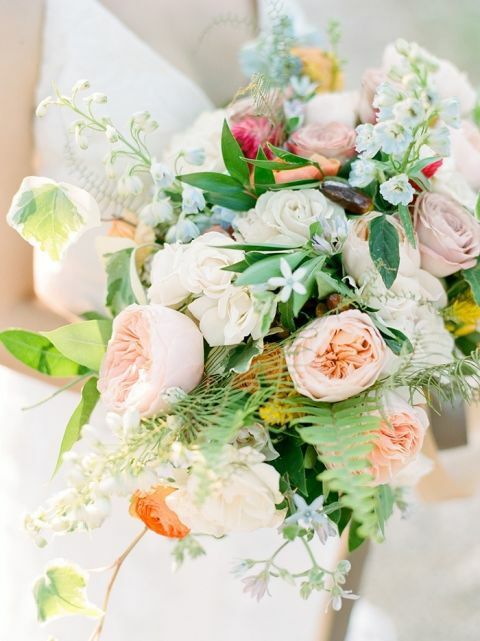 Lanson B. Jones & Co. created a peach and pale blue bouquet for the bride that managed to capture the lush beauty of seasonal wildflowers in a colorful arrangement. The Emerson gown by Kate McDonald perfectly suited the whimsical style of the elopement, with a romantic a-line silhouette and embroidered floral lace. The groom’s style offered a relaxed Southern spin, with a light chambray jacket and subtle patterned shirt. 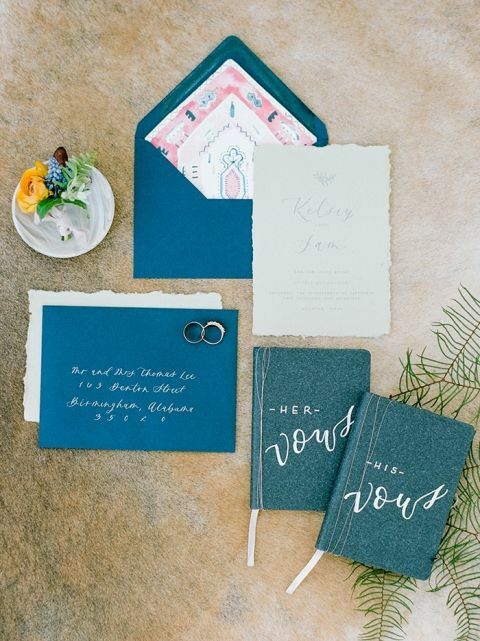 The slate blue and gray combo looked stylish and casual enough for a picnic! After exchanging vows in front of a tree adorned with hanging flowers, the couple captured intimate bridal photos on a cowhide rug to add the perfect nod to Texas. The rustic setting suited the wood pallet reception table, set with ikat linens and striped pillows to create a welcoming sweetheart table. The mix of patterns in the tablecloth and printed napkins added a fun detail to the simple table setting, with metallic touches from the earthenware plates and copper Moscow Mule mugs. A light summer menu of crudité, cheeses, and charcuterie preceded a rustic naked cake topped with fresh figs and berries!